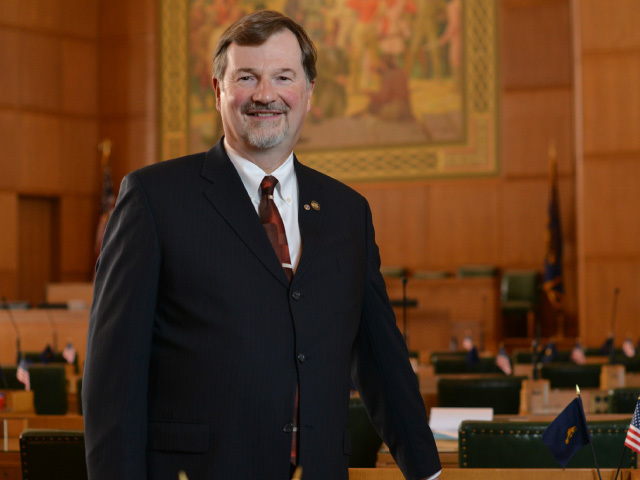 Reps. Deborah Boone and Brad Witt are watchdogs in the Oregon Legislature for West Oregon Electric Cooperative and its member-owners. The following profiles highlight some of their work on behalf of West Oregon and their rural constituents. Rep. Deborah Boone (D-Cannon Beach) spends a lot of time in the Oregon Legislature on what she calls “impending doom.” It is easy to understand why. Lurking just offshore from Boone’s House District 32—which covers all of Clatsop County, half of Tillamook and portions of western Washington County—is the Cascadia Subduction Zone. The possibility of that fault line shifting and creating a massive earthquake is never far from Boone’s mind. 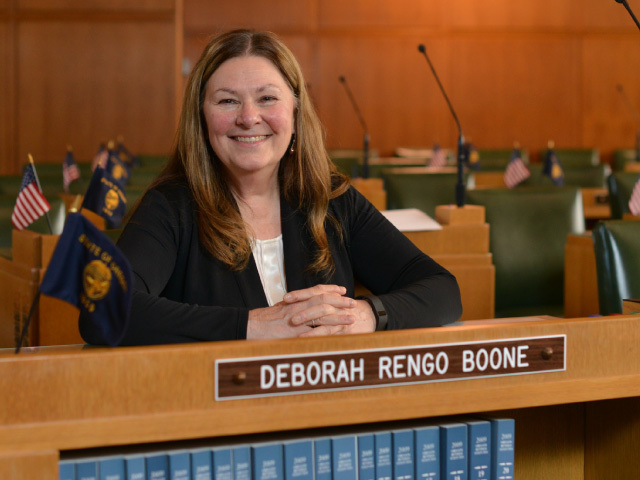 Whether she is working on emergency-planning legislation for tsunamis or upgrading schools for seismic events, Boone relentlessly pursues projects that will at least give her constituents a fighting chance. Ironically, the grim focus of her legislation is a stark counterpoint to the legislator herself who, by all standards, has one of the sunniest dispositions in the state Capitol. Now in her sixth term, Boone is a proud grandmother with a perpetual smile who unfailingly thanks committee witnesses for their testimony. But behind the friendly countenance, her colleagues and lobbyists describe her as a serious, dogged legislator who puts in the hours on complex issues. Boone cut her teeth in Salem as a longtime legislative aide, working for seven different lawmakers. She is active in the Coastal Caucus, and her committee assignments—veterans and emergency preparedness; Ways and Means; and energy and environment— reflect the priorities of her coastal district. The latter committee is a natural fit for Boone’s longstanding interest in ocean power, river tidal power and other emerging technologies that can create economic opportunity in her district. The Energy Committee also is a venue where she can look after the members of West Oregon Electric Co-op—of which she is one—carefully scrutinizing bills to make sure the legislation doesn’t make electricity less affordable or reliable. “One of the things I appreciate about Debbie is that she recognizes that not every legislative idea will function as represented,” said longtime West Oregon Electric Co-op Chairman Robert VanNatta. As an example, VanNatta cited legislation in the 2015 session that created a mortarium on disconnecting certain classes of customers during the winter. While well-intentioned, in practice the legislation would have left customers in deeper debt. Along with others legislators, Boone’s efforts significantly improved the legislation as it worked through the process. As the 2015 session winds down, Boone pledges to continue focusing on emergency preparedness and resiliency, rare long-term solutions in a political system fixated on the here and now. Her proposals may be geared toward a day of impending doom, but chances are, Boone is passing her legislation with a smile. Rep. Brad Witt is racking up an impressive list of accomplishments in the 2015 Legislature. Looming over Rep. Brad Witt’s desk in the state Capitol is a giant photo of President John F. Kennedy—just one of the many reminders in his office of the 35th president of the United States. As an urban legislator, Kennedy often attended electric co-op annual meetings across the country to learn about rural issues. Witt needs no such introduction. A resident of Clatskanie, the six-term Democrat represents a largely rural district that includes Columbia County and northern parts of Washington and Multnomah counties. Just as Kennedy learned on his road to the White House, Witt is keenly aware that rural areas face special challenges. Witt’s House District 31 is attempting to adapt to what he describes as the decline of the “heritage industries of fishing, farming and forestry.” Many of his constituents commute long distances to find work. Stimulating economic growth has been a centerpiece of Witt’s tenure in the legislature. He also makes no apologies for working to ensure Oregon’s “urban majority does not drown out rural voices” when it comes to creating jobs. Witt’s voice certainly is being heard. In the 2015 session, he is racking up an impressive list of legislation accomplishments, on a course for his best session ever. To name just a few, he has advanced legislation addressing education benefits for women veterans, consumer protections on reverse mortgage advertisements and, for his sportsman-crazed district, a ban on the use of drones for hunting and fishing. When he is not passing legislation, Witt is a labor representative for grocery store workers and has applied his problem-solving skills to the chairmanship of the House Agriculture Committee. Like Boone, Witt is a strong supporter of West Oregon Electric Cooperative and a frequent attendee at the co-op’s annual meetings. Calling West Oregon “the little engine that could,” last year Witt gave the engine assistance by helping break a logjam at a state agency over a crucial permit required by the co-op to upgrade its system. As a swing vote in the Oregon House, Witt is sought after on controversial issues and frequently is in the center of the legislative storm. While some legislators shy away from such heat, Witt views it as an opportunity to advance his agenda. For him, it is all part of paying any price and bearing any burden for his rural constituents.